What Are Furnace Humidifiers Used for? Furnaces tend to produce dry heat. Moisture needs to be replaced in the air to make it easier and more comfortable for people to breathe. Furnace humidifiers are installed to provide an adequate amount of moisture in the air. Residences in the South don’t often have furnace humidifiers installed because the air is already humid. However, residences in the North and in drier climates need the furnace humidifiers in use during the winter months. Furnace humidifiers are installed to counteract the drying effect furnaces have on the air in homes and businesses. Pets and people are also affected by the lack of humidity in the air. 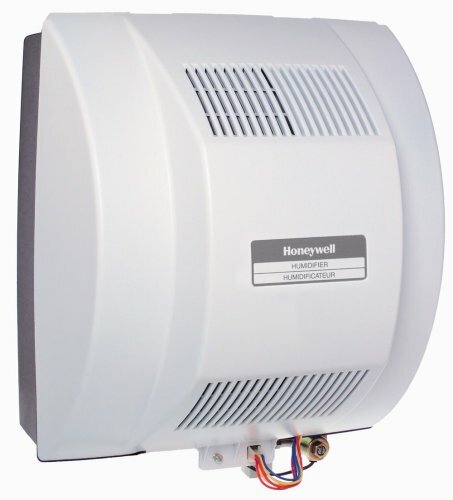 Central humidifiers are used to add humidity, or water vapor, into the air in the whole house. The dry air produced by furnaces can irritate your lungs and cause respiratory infections. Humidity at less than 30 percent causes health problems such as nosebleeds and infections. Adding humidity to the air also increases the comfort level of the air at lower temperatures. When the humidity levels are low, people have a tendency to turn up the heat. This causes your heating energy bill to skyrocket. Plants are affected by humidity levels also. If you have indoor plants, your plants will dehydrate when the humidity is low. Although wood comes dried from trees, wood products such as floors, walls, and doors contain some moisture. Wood dehydrates when the humidity levels are low. Hardwood floors can crack when the dry air dries out the wood. Wooden doors can warp also. Humidity in the air protects wood floors and the furniture. Dry air causes problems with musical instruments and artwork. The Environmental Protection Agency recommends the humidity be between 30 and 60 percent. If you have a higher humidity level, mold grows. If you reduce your thermostat by three degrees and increase the humidity to compensate, you can lower your heating bill by five percent. Dry air is conducive to static electricity. Static electricity shocks can cause problems for computers and electronic devices. It’s when air has less than 35 percent humidity that it becomes conducive to static electricity. Furnace humidifiers add humidity and reduce the static electricity in the air. Furnace humidifiers and humidistats or hygrometers are used to regulate the amount of humidity in the air. If the air is too dry, the humidifier adds moisture into the air. 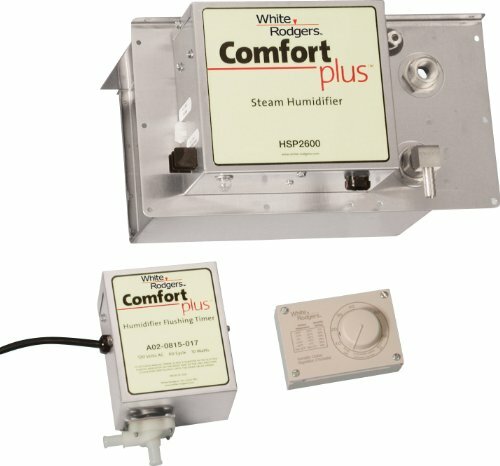 If you live in an area where humidity is low during the winter, you will definitely want to invest in a furnace humidifier. In a cold, dry climate the humidity is already low in your home. When the heated air is forced into the home, the warm dry air dries the rest of the moisture out of the air, causing discomfort. Locations that are humid often do not need furnace humidifiers. For example, Louisiana is a location that has high humidity year-round. Furnace humidifiers are not often installed in residences in Louisiana for this reason. If you choose to add a furnace humidifier, you have several options to consider. There are three basic kinds of furnace humidifiers: evaporative, aerosol, and steam. We will discuss the options below. 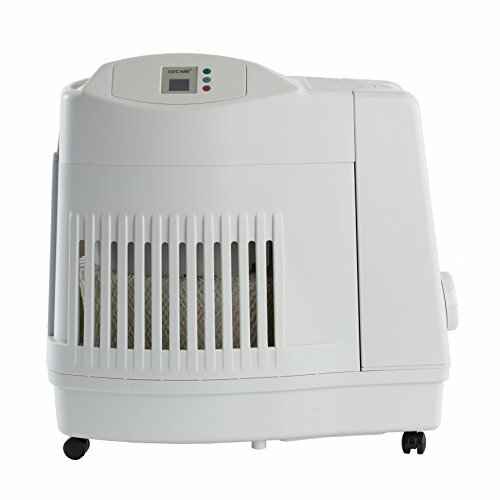 The steam humidifier is similar in function to a vaporizer that is used for medicinal purposes. The steam humidifier heats water to boiling temperatures and steam filters into the air. The steam humidifiers are more expensive, but this type can add a high volume of humidity into the air. They are healthier in some respects because they disinfect the water by boiling the water. However, steam humidifiers are hard on the ductwork because the steam can cause the ductwork to rust after a period of time. The evaporative humidifier is usually the cheapest type of furnace humidifier. The evaporator part of the humidifier is made of a drum that has a mesh or foam pad covering. The drum turns and dips the pad into the pan of water. A drawback is if the pan holds standing stagnant water. This can contribute to the growth of bacteria and other molds. But the flow-through evaporative humidifier is healthier because it does not hold water. Without the standing water, the mold and mildew does not build up. The aerosol humidifier is used less often than the other types. This type sprays a mist of water that evaporates into the air. It requires regular maintenance because the nozzle can clog. If the nozzle is clogged, the water can drip into the furnace or cause the unit to stop working. We’ve checked out some of the top furnace humidifiers, and here we leave you with our findings. Check them out carefully and find out what’s best for keeping your home comfortable this winter! 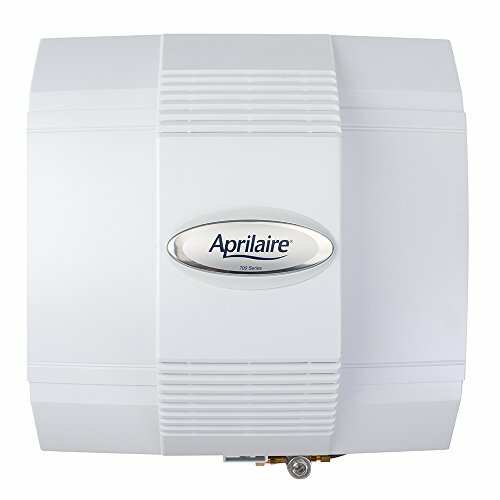 The Aprilaire 700 is a humidifier that is intended to humidify up to 4,200 square feet. This humidifier sports digital controls that display temperature and relative humidity. This humidifier evaporates .75 gallons per hour. This model requires professional installation by a qualified HVAC technician. This humidifier only needs to be serviced once per year. The Honeywell brand is a trusted name in heating and air products, and the Honeywell HE 360A Whole House Humidifier is a flow-through humidifier that can provide humidity in homes that range in size up to 4,200 square feet. 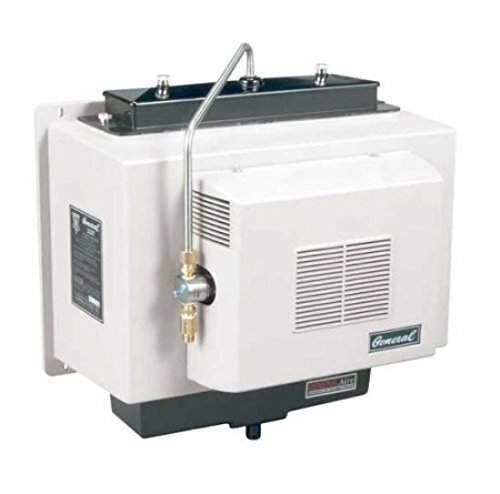 This furnace humidifier can easily be mounted on either the warm air supply or return air duct. The flow-through design is low maintenance and provides a comfortable humidity level to your home during the dry winter months. This electric humidifier is sizable. It is recommended that you ask a professional to install this for you because you will need special tools that an HVAC technician has on hand. You would also have to acquire copper tubing. If your home is less than 3,000 square feet in size, you might consider the Generalaire 1137 Legacy Humidifier. It requires a vapor pad to be replaced a couple of times each season. This device contains a fan that pulls warm air through a vapor pad where the air is moisturized. The moistened air is distributed to your home through the traditional ductwork. 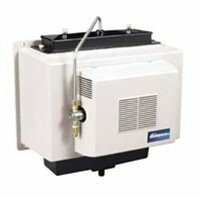 The Emerson HSP 2600 is a whole-house steam humidifier. This humidifier is designed to be installed in an average size home of 1,850 square feet or more. This humidifier works well with geothermal HVAC systems. It can keep 42 percent humidity in a 3,200 square foot home easily during winter. 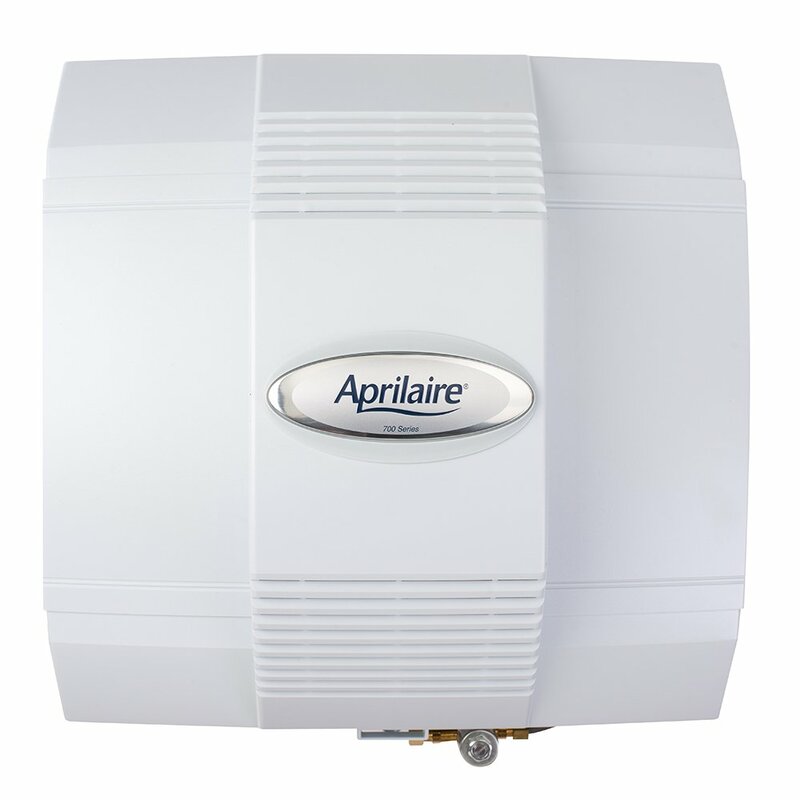 The Aircare MA1201 is another humidifier option. This humidifier adds cool moisture to the air rather than steam. It works by adding a cool mist of almost 12 gallons per day. It can humidify up to 3,600 square feet. It features electronic controls and a built-in humidistat. You can add between 25 percent and 65 percent humidity with the control settings. The humidifier responds by automatically adjusting to an efficient fan speed. It contains a wick filter that needs replacement occasionally. The check filter message displays as needed. You also must refill the water bottle regularly. This humidifier is portable and can be moved from room to room. It also contains a dry out mode to dry out the filter to prevent growth of mold and mildew. If you are installing a furnace humidifier, you must remember to have them cleaned at least once per year. This cleaning is done to remove mineral deposits. If you use a furnace humidifier, you must be careful not to over-humidify your home. Over-humidifying can occur when the temperatures are extremely low or if the indoor humidity is extremely high. To check the humidity, keep an eye on the windows. If there is a lot of moisture on the inside of the windows or if you can write on the condensation on the windows, there may be too much humidity in the house. When you set your humidistat, make sure that it is set no higher than 35 percent. If the temperatures plummet, you may have to dial down the humidity level because the dew point will be extremely low. Installing a humidifier is a way to provide moisture in the air in a tightly-built home with conditioned air in the winter. Humidity makes the air feel warmer than the same temperature with dry air. If air is too dry, it can lead to health problems. HVAC technicians can install these with your furnace and central air duct system or you can purchase a portable humidifier and control the comfort level of the warm air in your home.